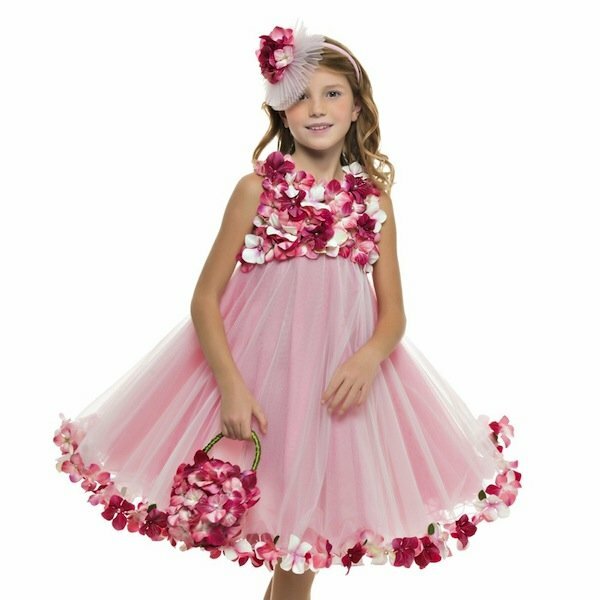 Love this LESY Girls Ivory Lace & Floral Party Dress for Spring Summer 2017. 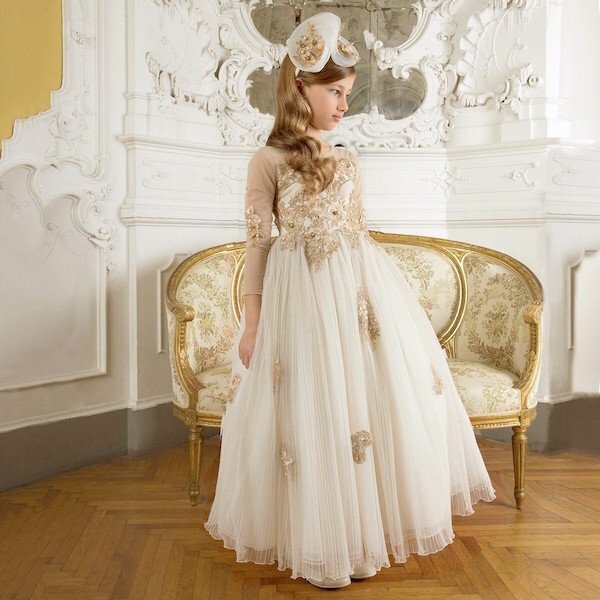 A gorgeous special occasion dress that’s part of the Waterlillies Garden Collection, this ivory lace dress from Lesy is decorated with beautiful red floral appliqué with pearl centers. The lace overlay has a dusting of silver glitter, to give a subtle shimmer. She’ll be the belle of any Spring / Summer Ball wearing this luxury dress. Looks perfect with a matching white headband with a rose flower on top.